Imagine Wagner's Ride of the Valkyries is playing in the background... dun dun dun dun dun dun dun dun... except this time it's five piglets who have descended upon China Gate Restaurant (a Korean style Chinese restaurant in Ktown)...First up: this was really good, kind of similar to a Chinese cold noodle dish, you get an assortment for shredded veggies and meats and some clear noodles and throw in some mustardy sauce, then voila, yummy! Btw, the portions here are enormous (easily twice the size of most restaurants). Jjajangmyun (JJM). Culture works in funny ways. 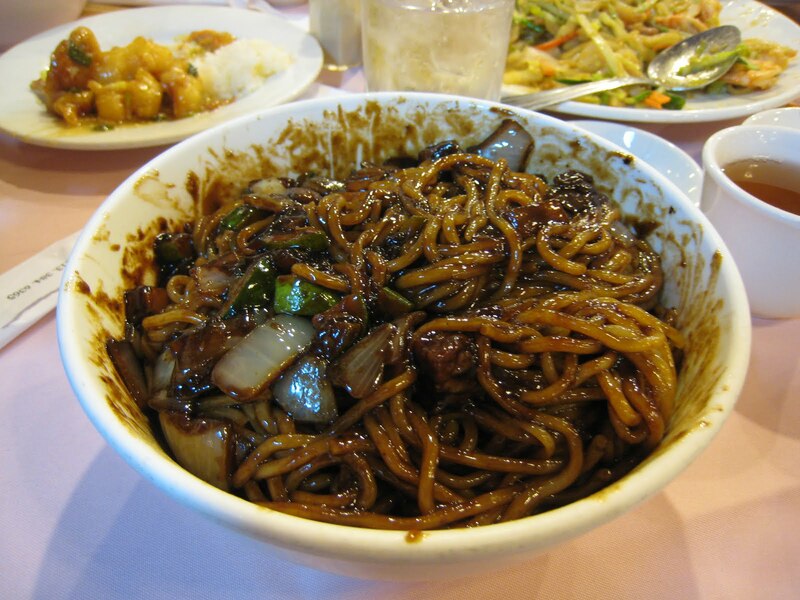 JJM is a northern Chinese dish, and per Chez Pei, it is popular in China and Taiwan. 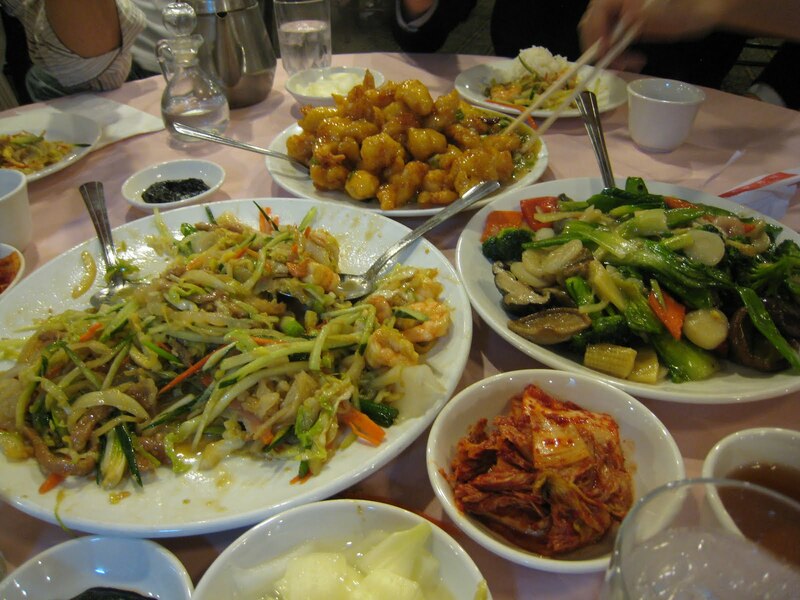 Around 100 years ago, some Chinese immigrants took the recipe to Korea and the Koreans made some tweaks here and there and now it's also super popular in Korea. 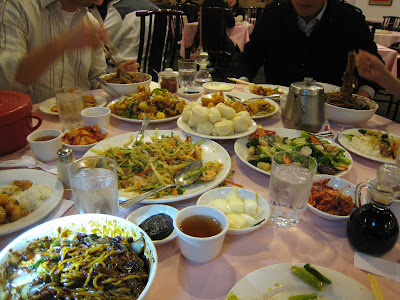 Btw, this bowl alone can feed like three to four ppl, so to be on the safe side, we ordered three bowls for five of us. JJM after it's properly mixed. crazy lady, jjm is totally popular in China and Taiwan! But the Chinese version is very different from the Korean version. 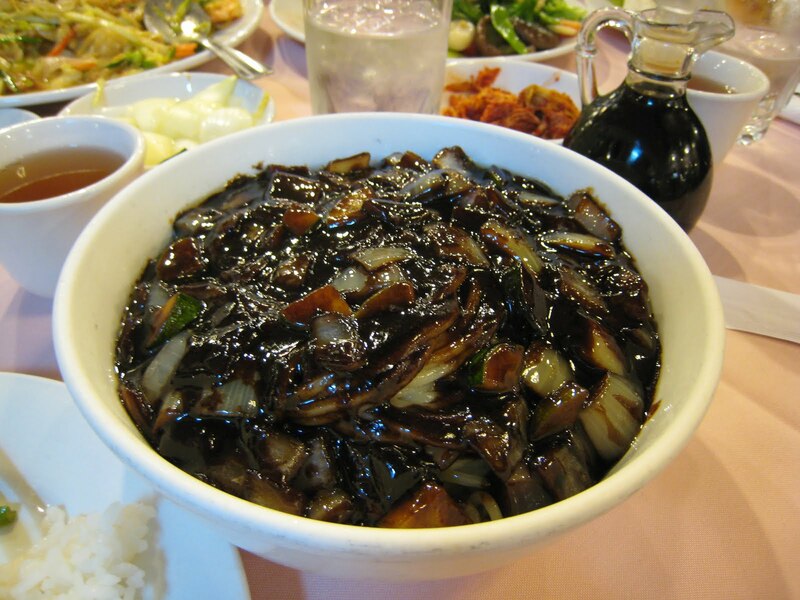 The Korean version is sweeter and almost all sauce with some large chunks of onion in it. The Chinese version is more meaty and complex, and the version I prefer by far. 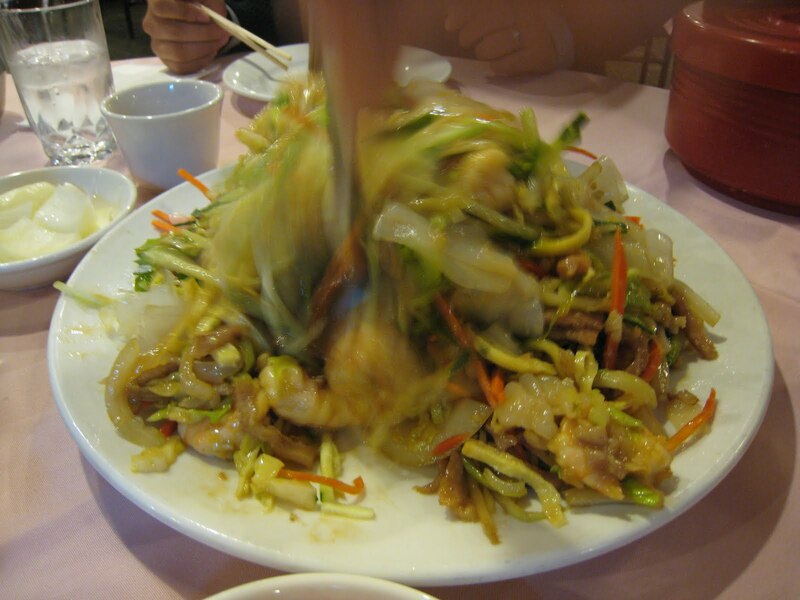 K, I stand corrected, it is very popular in China, but I don't think it's as popular as it is in Korea cuz they love JJM and it's like the most popular delivery dish in Korea. Yeah, I like the Chinese version better too.